Tim McCreight. Hundreds of drawings and concise descriptions. Borax flux, and heat proof pad. 2 Piece. 4-3/4"H X 3"W X 2" Deep. Cast iron with sprue funnel. Pro-Craft CASTING SAND 5 pound can. Pro-Craft BORAX FLUX (Technical) 8 ounce can. 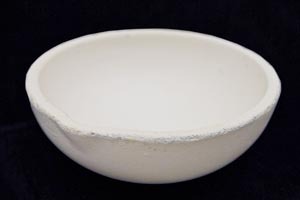 CERAMIC CRUCIBLE (left) 7-1/2 ounce capacity. CERAMIC HI BACK CRUCIBLE (right) 20 ounce capacity. MELTING DISH HANDLE for above crucibles. #1. 3-1/2" tall. Other sizes available. Reversible steel two-in-one ingot mold. May be used to make flat stock or wire stock from scrap metal. Flat stock is 3" long by 2" wide by 1/8" thick. Wire sizes are 3" long by 2.5, 3.5, 4.5 and 6mm in diameter. Sturdy C-clamp holds both halves together tightly. Width of flat stock can be varied. CARBON STIR ROD 12 inches long. 1/2 inch Diam. 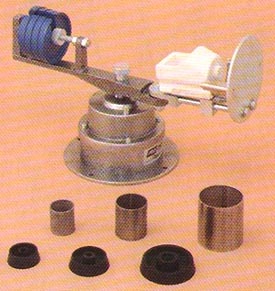 PRO-CRAFT Short Arm Centrifugal Casting Machine with Accessories.